What do Slabdragger sound like? 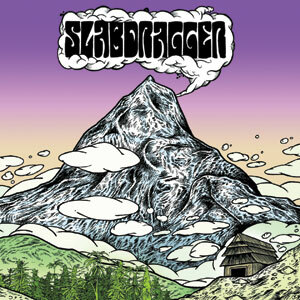 Oh, come on, what do you think a band called Slabdragger sound like? Drawing inspiration from some of the heaviest hitters in the sludge and doom pantheon, the Londoners’ debut is filthy, ugly, abrasive and heavy as hell – the musical approximation of a woolly mammoth going down on Godzilla, if you will. ‘Bab el-Mandeb’ sets the tone with its thick rumbling bass and violently retched vocals, and the band maintain their assault throughout the likes of ‘Iron Vulture’ and ‘Murky Fen’, before finally arriving in more melodic territory on Sleep-esque closer ‘Trichome Odyssey’. Impressive stuff.